is a Boeing 747-200B that has been modified to meet presidential requirements. The plane is known by the radio call sign used when the president is aboard: Air Force One. 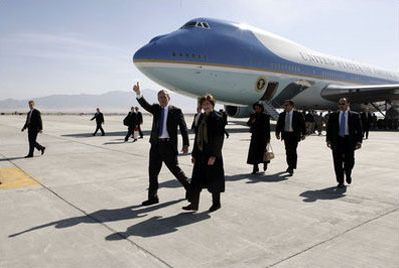 The mission of the VC-25A aircraft -- Air Force One -- is to provide air transport for the president of the United States. The presidential air transport fleet consists of two specially configured Boeing 747-200B's -- tail numbers 28000 and 29000 -- with the Air Force designation VC-25A. 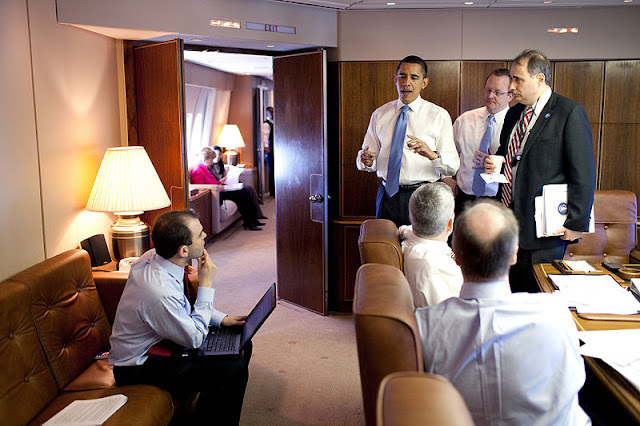 When the president is aboard either aircraft, or any Air Force aircraft, the radio call sign is "Air Force One." Principal differences between the VC-25A and the standard Boeing 747, other than the number of passengers carried, are the electronic and communications equipment aboard Air Force One, its interior configuration and furnishings, self-contained baggage loader, front and aft air-stairs, and the capability for in flight refueling. Two galleys provide up to 100 meals at one sitting. Six passenger lavatories, including disabled access facilities, are provided as well as a rest area and mini-galley for the aircrew. The VC-25A also has a compartment outfitted with medical equipment and supplies for minor medical emergencies. Presidential air transport began in 1944 when a C-54 Skymaster -- the "Sacred Cow" -- was put into service for President Franklin D. Roosevelt. Then came the "Independence," a DC-6 Liftmaster, which transported President Harry S. Truman during the period 1947 to 1953. President Dwight D. Eisenhower traveled aboard the "Columbine II" and "Columbine III" from 1953 to 1961. A 1953 incident where Eisenhower's aircraft was "Air Force 8610" and an Eastern Airlines plane was "8610" created the need to devise a unique call sign. The call sign "Air Force One" was classified during the '50s to identify not only the president's plane, but when he was aboard. In September 1961, it became popularly known when it identified President John F. Kennedy flying aboard his C-118. In 1962, a C-137C specifically purchased for use as Air Force One, entered into service with the tail number 26000. It is perhaps the most widely known and most historically significant presidential aircraft. Tail number 26000 is the aircraft that carried President Kennedy to Dallas, Nov. 22, 1963, and returned the body to Washington, D.C., following his assassination. Lyndon B. Johnson was sworn into office as the 36th president on board the aircraft at Love Field in Dallas. This fateful aircraft also was used to return President Johnson's body to Texas following his state funeral Jan. 24, 1973. In 1972 President Richard M. Nixon made historic visits aboard 26000 to the People's Republic of China in February and to the former Union of Soviet Socialist Republics in May. The first VC-25A -- tail number 28000 -- flew as "Air Force One" on Sept. 6, 1990, when it transported President George Bush to Kansas, Florida and back to Washington, D.C. A second VC-25A, tail number 29000 transported President Bill Clinton and former Presidents Carter and Bush to Israel for the funeral of Prime Minister Yitzhak Rabin. The VC-25A will usher presidential travel into the 21st century, upholding the proud tradition and distinction of being known as "Air Force One." The first presidential airplane was used by Franklin Delano Roosevelt. 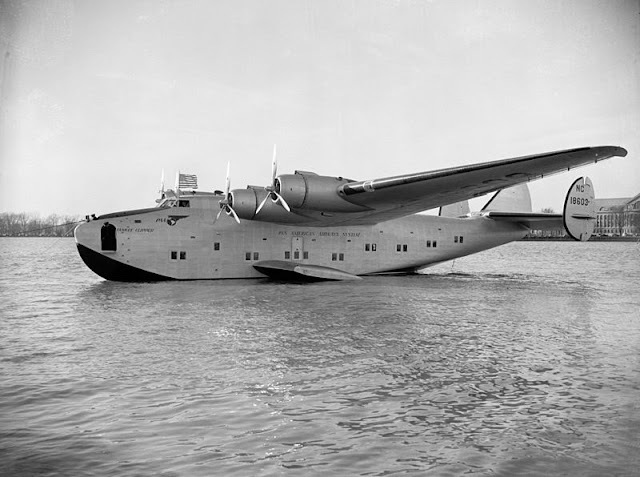 Nicknamed "The Flying Hotel," it was a Boeing 314 Clipper, the largest aircraft of its time, boasting a wingspan of 152 feet. The first presidential jet aircraft, a Boeing 707, was presented to the Smithsonian Institution after its retirement in 1972. Our three most recent Presidents -- George H.W. Bush, Bill Clinton and George W. Bush -- have flown on Boeing 747s. Air Force One is the air traffic control call sign of any United States Air Force aircraft carrying the President of the United States. 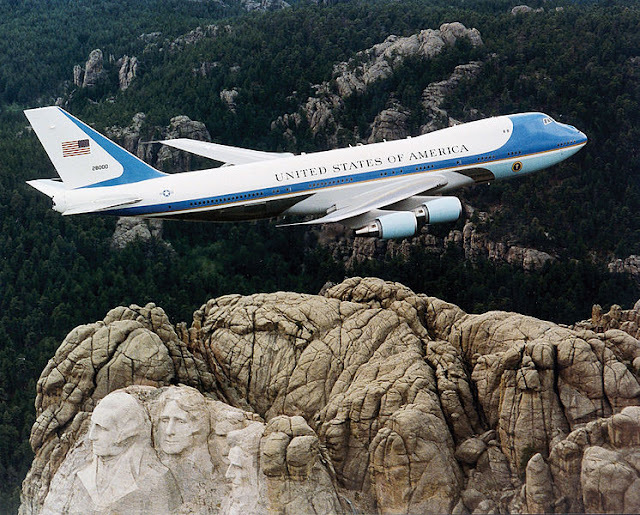 Since 1990, the presidential fleet has consisted of two specifically configured, highly customized Boeing 747-200B series aircraft – tail codes "28000" and "29000" – with Air Force designation "VC-25A". While these aircraft are referred to as "Air Force One" only while the president is on board, the term is commonly used to describe either of the two aircraft normally used and maintained by the U.S. Air Force solely for the president. Air Force One is a prominent symbol of the American presidency and its power. The aircraft are among the most famous and most photographed in the world. Theodore Roosevelt became the first president to fly in an aircraft on 11 October 1910. At the time, he was no longer in office, having been succeeded by William Howard Taft. However, prior to World War II, overseas and cross-country presidential travel was rare. Lack of wireless telecommunication and quick transportation made long-distance travel impractical, as it took up much time and isolated the president from events in Washington, D.C.
By the late 1930s, with the arrival of aircraft such as the Douglas DC-3, increasing numbers of the U.S. public saw passenger air travel as a reasonable mode of transportation. All-metal aircraft, more reliable engines, and new radio aids to navigation had made commercial airline travel safer and more convenient. Life insurance companies even began to offer line pilots insurance policies, albeit at extravagant rates, and many businessmen began using the airlines in preference to rail travel, especially for longer trips. 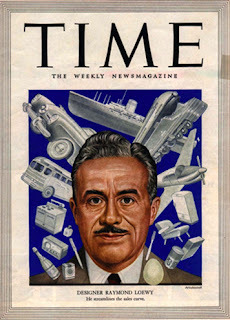 The first president to fly in an aircraft while in office was Franklin D. Roosevelt, who traveled on a Pan Am-crewed Boeing model 314 Clipper to the 1943 Casablanca Conference on the progress of World War II. The threat from the Kriegsmarine's submarines in the Battle of the Atlantic made air travel the preferred method of transportation. The first proposed aircraft dedicated for presidential carriage was a C-87A VIP transport aircraft. The Guess Where II, Number 41-24159, was re-modified in 1943 for use as a presidential VIP transport and intended to carry President Franklin D. Roosevelt on international trips. The Secret Service refused to approve the Guess Where II for presidential carriage due to its C-87's highly controversial safety record in service. Had the C-87A been approved, it would have been the first plane to be used in presidential service (the first Air Force One). The plane did see VIP service being used to transport senior members of the Roosevelt administration on various trips. In March 1944, the Guess Where II transported Eleanor Roosevelt on a goodwill tour of several Latin American countries. The plane was scrapped in 1945. 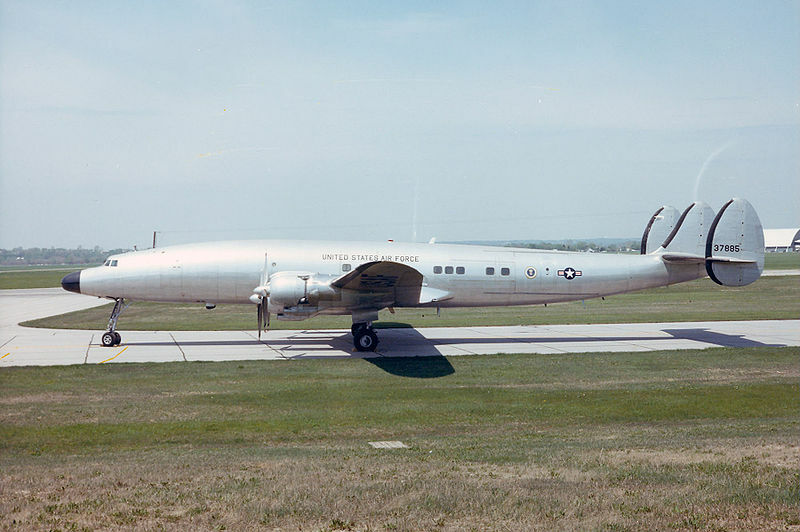 President Roosevelt's C-54 Skymaster aircraft, nicknamed "the Sacred Cow". 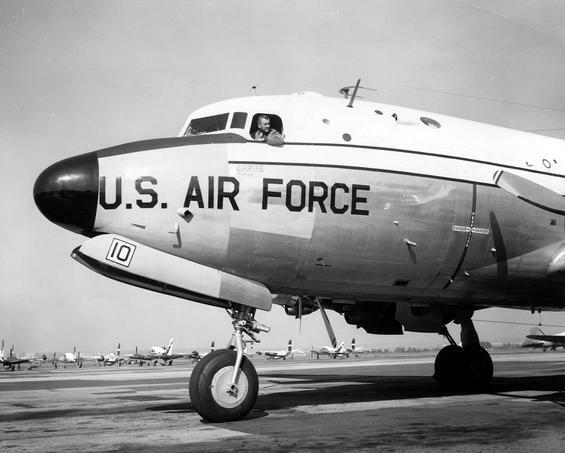 The Secret Service subsequently reconfigured a Douglas C-54 Skymaster for duty as a presidential transport. This aircraft, nicknamed the Sacred Cow, included a sleeping area, radio telephone, and retractable elevator for Roosevelt's wheelchair. 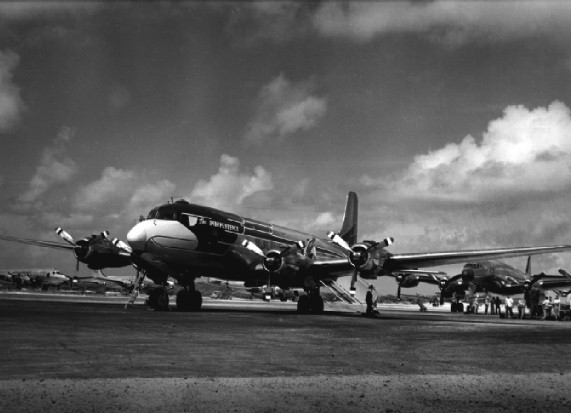 As modified, the presidential C-54 carried the president on several important trips. 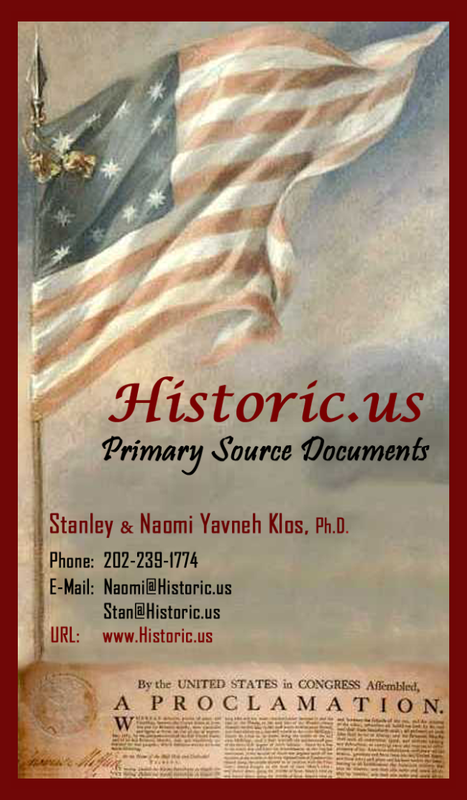 After Roosevelt died in spring 1945, Vice President Harry S Truman became President. 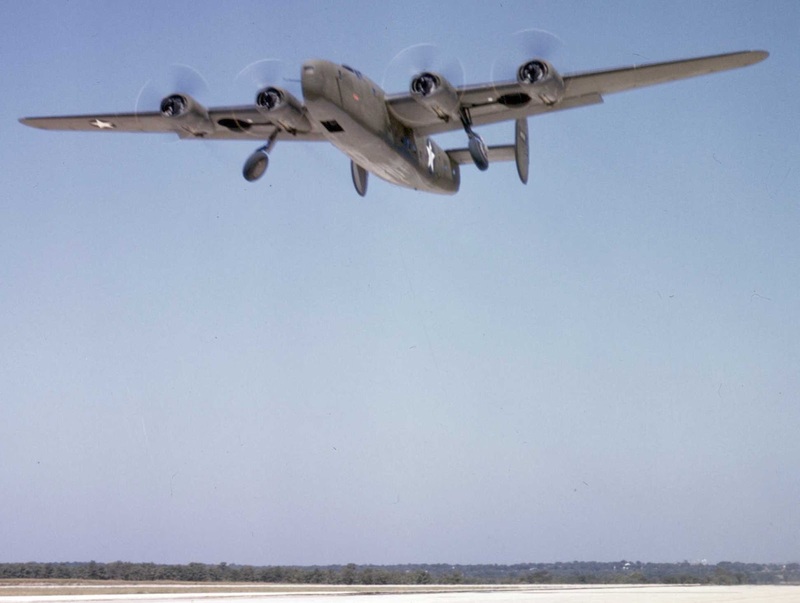 He replaced the C-54 in 1947 with a modified C-118 Liftmaster, calling it the Independence, possibly in reference to President Truman's hometown of Independence, Missouri. This was the first aircraft acting as Air Force One that had a distinctive exterior–a bald eagle head painted on its nose. The U.S. Air Force Lockheed VC-121E Super Constellation (53-7885, c/n 4151) at the National Museum of the United States Air Force. The aircraft had been ordered by the U.S. Navy as the R7V-1 BuNo 131650 and was diverted during construction to conversion as a presidential aircraft. It was operated throughout the Eisenhower administration as "Colombine III" and replaced in October 1962 by a Boeing VC-137C. The aircraft is today on display at National Museum of the USAF. The presidential call sign was established for security purposes during the administration of Dwight D. Eisenhower. The change stemmed from a 1953 incident where an Eastern Airlines commercial flight (8610) had the same call sign as a flight the president was on (Air Force 8610). 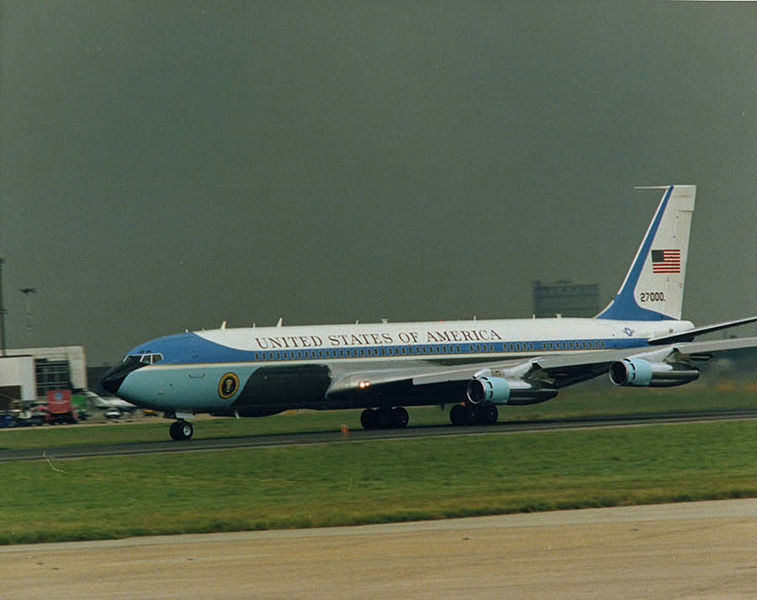 The aircraft accidentally entered the same airspace, and after the incident the unique call sign "Air Force One" was introduced for the presidential aircraft. Eisenhower also introduced four other propeller aircraft, the Lockheed C-121 Constellations (VC-121E) to presidential service. These aircraft were named Columbine II and Columbine III by Mamie Eisenhower after the columbine, the official state flower of Colorado, her adopted home state. Two Aero Commanders were also added to the fleet and earned the distinction of being the smallest planes ever to serve as Air Force One. President Eisenhower also upgraded Air Force One's technology by adding an air-to-ground telephone and an air-to-ground teletype machine. Towards the end of Eisenhower's term in 1958, the Air Force added three Boeing 707 jets (as VC-137s designated SAM 970, 971, and 972), into the fleet. Eisenhower became the first president to use the VC-137 during his "Flight to Peace" Goodwill tour, from 3 December through 22 December 1959. He visited 11 Asian nations, flying 22,000 miles (35,000 km) in 19 days, about twice as fast as he would have on Columbine. In 1962, Boeing introduced U.S. presidents to modern jet transportation with the introduction of the Boeing model 707-320B. In all, seven presidents were served by the 707-320B. The first plane was purchased by the John F. Kennedy administration, October 1962, was a C-137 Stratoliner, a modified long-range 707, called a Special Air Mission (SAM) 26000. Previously, he had used the Eisenhower-era jets for trips to Canada, France, Austria and the United Kingdom. 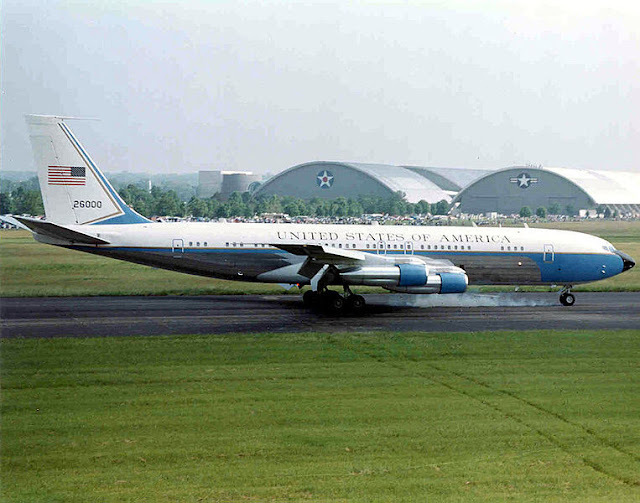 The Boeing 707 SAM 26000 served Presidents Kennedy to Clinton, and was the primary transport from Kennedy to Nixon. It is now at the National Museum of the US Air Force. This long-range version of the Boeing 707-320 intercontinental became the most commonly ordered version of the 707 airliner. Its fuselage was 8 feet longer than the 707-120 and its wingspan was 12 feet longer. With new turbofan jet engines, the B versions had a range of 6,000 miles, and in 1962, a 707-320B took over the role of U.S. government VIP and presidential transport, designated VC-137C. A second VC-137C was delivered in 1972. These were the first Air Force Ones. The Air Force had attempted a special presidential livery of their own design: a scheme in red and metallic gold, with the nation's name in block letters. Kennedy felt the aircraft appeared too regal, and, on advice from his wife, First Lady Jacqueline Kennedy, he contacted the French-born American industrial designer Raymond Loewy for help in designing a new livery and interiors for the VC-137 jet. Loewy met with the president, and his earliest research on the project took him to the National Archives, where he looked at the first printed copy of the United States Declaration of Independence, and saw the country's name set widely spaced and in upper case in a typeface called Caslon. He chose to expose the polished aluminum fuselage on the bottom side, and used two blues; a slate-blue associated with the early republic and the presidency, and a more contemporary cyan to represent the present and future. The presidential seal was added to both sides of the fuselage near the nose, a large American flag was painted on the tail, and the sides of the aircraft read "United States of America" in all capital letters. Loewy's work won immediate praise from the president and the press. The VC-137 markings were adapted for the larger VC-25 when it entered service in 1990. SAM 26000 was in service from 1962 to 1998, serving Presidents Kennedy to Clinton. On November 22, 1963, SAM 26000 carried President Kennedy to Dallas, Texas, where it served as the backdrop as President and Mrs. Kennedy greeted well-wishers at Dallas' Love Field. Later that afternoon, Kennedy was assassinated, and Vice President Lyndon Johnson assumed the job of president and took the oath of office aboard SAM 26000. At Johnson's request, the plane carried Kennedy's body back to Washington. It also flew over Arlington National Cemetery as Kennedy was being laid to rest, following 50 fighter jets. A decade later, it brought Johnson's own body to Washington for his state funeral and then back home to Texas. As the former president was laid to rest at his ranch, a former pilot of SAM 26000 presented the flag to Lady Bird Johnson. It was replaced in 1972 by another VC-137, Special Air Mission 27000, although SAM 26000 was kept as a backup until it was finally retired in 1998. SAM 26000 is now on display at the National Museum of the United States Air Force. Richard Nixon was the first president to use SAM 27000, and the newer aircraft served every president since Nixon, until it was replaced by two VC-25 aircraft (SAM 28000 and 29000) in 1990. SAM 27000 was decommissioned in 2001 by President George W. Bush, flown to San Bernardino International Airport in California, and later dismantled and taken to the Ronald Reagan Presidential Library in Simi Valley, where it was reassembled and is currently on permanent display. Though Ronald Reagan's two terms as president saw no major changes to Air Force One, the fabrication of the current 747s began during his presidency. Reagan ordered two identical Boeing 747s to replace the aging 707 that he used for transport. The interior designs were drawn up by First Lady Nancy Reagan, who used designs reminiscent of the American Southwest. The first aircraft was delivered in 1990, during the administration of George H. W. Bush. Delays were experienced to allow for additional work to protect the aircraft from electromagnetic pulse (EMP) effects. The VC-25 is equipped with both secure and unsecure phone and computer communications systems, enabling the president to perform duties while in the air in the event of an attack on the United States. One of the most dramatic episodes aboard Air Force One happened during the September 11 attacks. President George W. Bush was interrupted at Emma E. Booker Elementary School in Sarasota, Florida after the attack on the World Trade Center South Tower in New York City. He flew on a VC-25 from Sarasota-Bradenton International Airport to Barksdale Air Force Base in Louisiana and then to Offutt Air Force Base in Nebraska before returning to Washington. The next day, officials at the White House and the Justice Department explained that President Bush did this because there was "specific and credible information that the White House and Air Force One were also intended targets." The White House later could not confirm evidence of a threat made against Air Force One, and subsequent investigation found the original claim to be a result of miscommunication. in the conference room, 3 April 2009. Principal differences between Air Force One and the standard Boeing 747 include state-of-the-art navigation, electronic and communications equipment; its interior configuration and furnishings; self-contained baggage loader; and front and aft air-stairs. The VC-25As are expected to be replaced, as they have become less cost-effective to operate. The USAF Air Mobility Command has been charged with looking into possible replacements, including the new Boeing 747-8 and the Airbus A380. On 7 January 2009, the Air Force Materiel Command issued a new requirement for a replacement aircraft to enter service beginning in 2017. On 28 January 2009, EADS announced they would not bid on the program, leaving Boeing the sole bidder, with either their Boeing 747-8 or Boeing 787 Dream currently . The Boeing Dreamlifter is a modified 747-400 passenger airplane that can haul more cargo by volume than any airplane in the world. It is the primary means of transporting major assemblies of the Boeing 787 Dreamliner from suppliers around the world to the 787 final assembly site in Everett, Wash. This reduces delivery times to as little as one day from as many as 30 days today. Dependent on payload but comparable to other members of the 747 family of aircraft. Currently, the 787 is grounded due to numerous electrical system flaws beyond the battery problems purported by Boeing, according to engineers with knowledge of the situation. 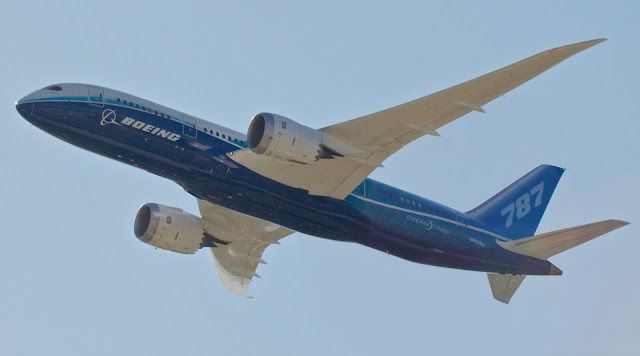 Company engineers blame the 787’s outsourced supply chain, saying that poor-quality components are coming from subcontractors that have operated largely out of Boeing’s view. Plans moving forward for the development of a 787 Boeing Air Force One have also been grounded.